Debbie Johnston has a motto, and it is, “If I have touched one life, it was worth the journey.” And let me tell you — she has touched many. November is National Adoption Month and among the many pursuits Debbie Johnston has engaged in over the years, advocating for children of all ages to find permanent homes is at the top of her list. Over the span of her successful careers, she has been recognized as the Entrepreneur of Richmond, Virginia, Philanthropist of the Year, and Woman on the Move. As founder and President of Care Advantage, Nurse Advantage, and All About Care, she has created a dynamic compassionate care company that is devoted to giving back to the community. Her former companies employ approximately 3,000 health care professionals in central Virginia and surrounding areas. Debbie’s journey to the top did not start off all glitz and glam though. In fact, she had a very humble start. Debbie grew up in a small town with her biological mother’s sister and her husband who adopted Debbie at a young age. She was raised on a farm with four younger sisters and one brother, working hard with farm-life chores, too busy and loved to realize her actual scarcity. “Originally I wanted to be a secretary like my mom, but after considerable coaxing from my dad, I decided to go into nursing,” Debbie says. “My dad told me that nursing would always afford me a job in good times and bad.” Somehow, her parents scraped up the three-year tuition for Debbie to attend the Johnston-Willis School of Nursing. Debbie Johnston sought and accepted an offer as a salesperson for a new national home health company in the area. After one year, she took the idea of home health care to a large hospital conglomerate and became the administrator of the division. However, the chief hospital administrator spun the home health division out on its own and decided to sell it. Debbie then received a push from a friend and started her own health care company. Care Advantage, Inc. was born out of a need to help people once discharged home. This has naturally evolved from helping patients leave the hospital to holding their hand and making their last few hours the best possible. Today, Debbie is the sole owner and president of Care Advantage, Inc., which has become a leading company for personal and companion home healthcare, with 17 offices and affiliates throughout Virginia. “I believe that one of the best things about growing a financially successful company is having the ability to give to others. We have given over a million dollars to organizations all over the community. I also started ‘Eunice’s Circle of Friends,’ which is a social group for Widows and Widowers, and those individuals who have lost a loved one.” In 2014, Governor Terry McAuliffe appointed Debbie to the Virginia Health Workforce Development Authority and as the Adoption Champion for the state of Virginia and these days, she spends a lot of her time helping match deserving kids with deserving parents. 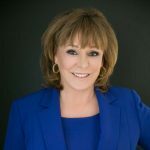 Connect with Debbie Johnston on Facebook and LinkedIn!